One of the problems content creators face is keeping their followers/subscribers informed. YouTube solved this with the Community tab, allowing some channels to create text posts that show up on the main subscriptions feed. Now Twitch has unveiled Pulse, allowing streamers to better interact with their followers, and vice-versa. Essentially, Pulse is a feed of posts from Twitch users you follow. These posts can include clips, stream highlights, photos, and obviously text. 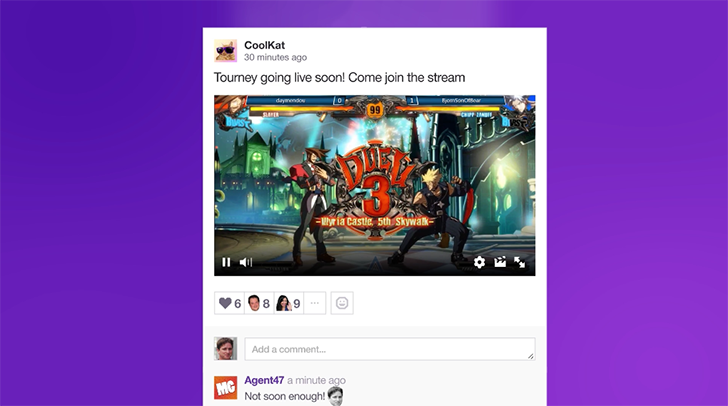 You might be thinking, "Why did Twitch just turn into a social network?" Well, it is almost impossible for Twitch streamers to make sure their whole audience follows them on social media, so this is a great way of keeping their entire community informed and engaged. The feature is slowly rolling out to Twitch users starting today, and should be available to everyone by mid-March. Pulse will also become available on the Twitch mobile app at some point.